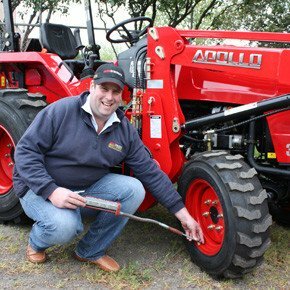 Since moving back to NSW, I’ve had quite a few customer enquiries about purchasing tractors and implements to undertake remedial works to what sounds like some pretty run down blocks. In these circumstances, I am quick to recommend a soil test as a good starting place. Nowadays, most produce stores have a sales agronomist who can walk the block with you and take samples. These samples are quickly sent away and analysed at the laboratories of the fertiliser company. The results are processed through some pretty nifty software packages. Naturally, the results tend to recommend generous amounts of their products be thrown around with abandon. However, they do offer worthwhile snippets of information on improving your soil fertility and structure over a long period. This information is golden; it’s a matter of cherry picking through it and matching it to your budget and perhaps your philosophical allegiance to alternative or organic farming methods. The software will only be able to make recommendations based on the samples and local insights of the agronomist (agro). 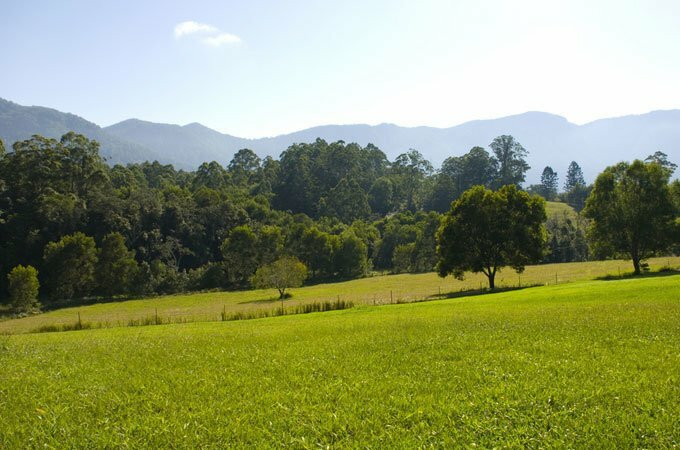 If the agro has exposure to the more intensive commercial farms in the area, it’s a good bet they have seen and dealt with similarly affected paddocks. The history of your block will give further hints about the condition of the soil, as can a few other telltale signs such as rocks brought to the surface with mouldboard ploughs and evidence of old furrows. Sometimes these blocks have been overgrazed and compacted. I have seen blocks that have been ploughed up in the 60s and 70s for the most precarious reasons and have never fully recovered. These soils can have structural problems such as hard pans, and are often low in organic matter. We have been blessed with some good rains and some are predicting continued above average rainfall as we move into La Nina phase of sea temperatures. This augers well to undertake some tractor powered soil amelioration techniques. Soil ameliorants basically condition the soil, enabling it to optimise plant growth rather than just adding nutrients. Fine tuning things like pH and water infiltration are relatively inexpensive ways of making existing nutrients better available to plants, although some ameliorants add nutrients as a bonus. Integrating these ameliorants deeper into the soil profile with a ripper can speed up the remediation process. Not only are you getting the material into the soil but are also busting up any restrictive soil layers deep in the profile. Your soil test will suggest broadcast rates of ameliorants like lime (to increase pH) or gypsum to break up clay (if your soil type responds). Kubota B1502D with an AGMAX rotary hoe breaks up the soil. The benefit of rain is that it will make it easier for you to physically rip up the soil with the tractor and also allow the ameliorant to react with the soil and leach down deeper into the profile; at once improving drainage and taking various mineral salts away from the root zone. These chemical ractions do take time, so you may not see results until the following growing season. A three point linkage fertiliser spreader can be used for broadcasting, but make sure it’s equipped with an agitator for finely milled products such as ag. lime and dolomite. Remember that plasterer’s lime can be very corrosive and requires protective equipment to be worn. Using a rotary hoe will speed up the soil preparation process. From here, I would recommend you put the area down to a good regional pasture/clover mix to begin building up the organic matter in your soil. 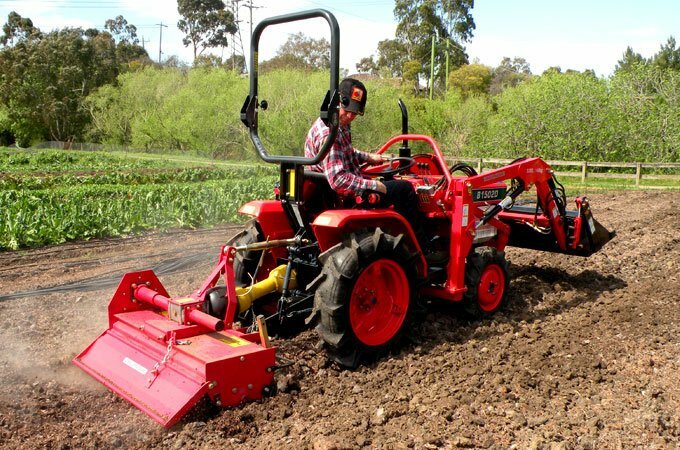 If so inclined, you could cultivate and put it down to a green manure crop like sorghum or lablab, rotary hoeing it back in before sowing it down to an autumn pasture; speeding up the process. Every paddock has something limiting its production. Run down soils tend to have poor structure and low organic matter as major limiting factors. However, before a remedy can be prescribed a diagnosis must be made. A soil test is like a stethoscope. The interpretation and execution of the recommendations need to be sound, safe, considered and consistent.